Палетка была найдена в Иераконполе археологами Джеймсом Квибеллом и Фредериком Грином в сезон 1897/1898 гг. Kinnaer J. 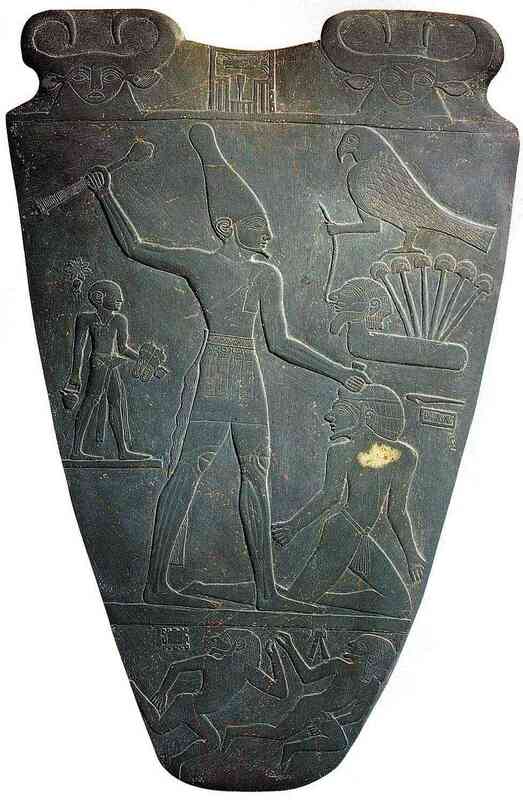 What is Really Known About the Narmer Palette? // KMT: A Modern Journal of Ancient Egypt. 2004. Spring. Wilkinson T. A.H. Early Dynastic Egypt. Routledge, London. 1999. Baines J. Communication and display: the integration of early Egyptian art and writing // Antiquity Vol 63:240, 1989. P. 471—482. Trigger B. 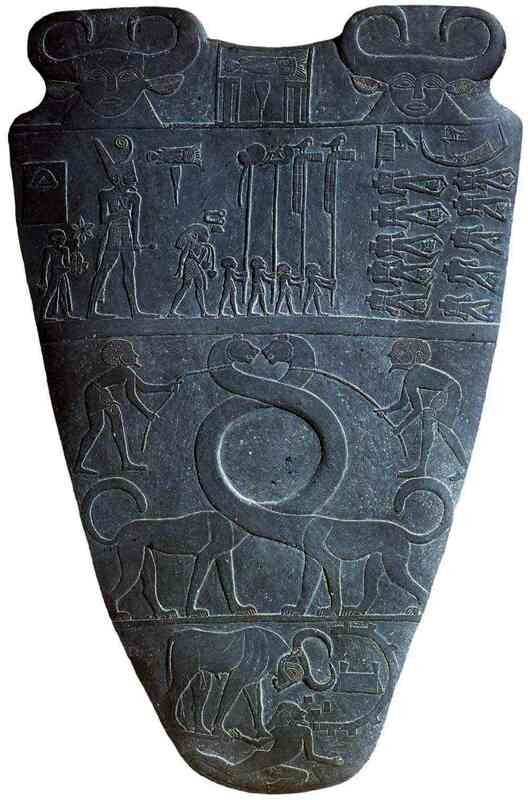 The Narmer Palette In Cross-Cultural Perspective. // Gorg M., Push E. Festschrift Elmar Edel. Bamberg, 1979.